If you decide to design and develop website, you have first to determine the goal of your future site. Then, based on the goal, you have to decide on which website type will best serve your needs. There are different website types developed for many purposes and uses. Let’s overview main types of websites, so you can choose website type that will meet your purpose. Based on the technical method used to build a website, there are two website types: static and dynamic. Static are websites that have web pages stored on the server and display fixed content to the user. Static websites are coded in HTML and the website pages can be updated independently in an HTML editor. Static websites are often small websites which include static information. They usually contain texts, images, simple navigation menus. Static websites are very easy to start and maintain. To publish and update the static website you do not need any special web design and web programming experience. Dynamic websites are typically a larger website that is database-driven. 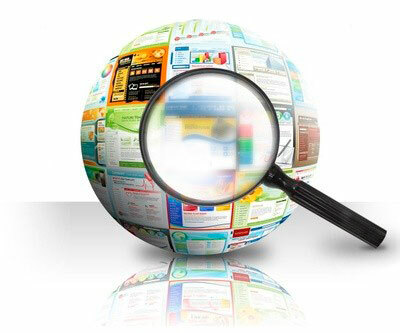 Dynamic sites usually include hundreds of web pages with huge amount of different content. Dynamic sites are connected to a database where the content is stored in an organized way. Dynamic pages get information from a database and can be customized frequently and automatically according to your specific needs. Ecommerce websites, online shopping sites and business sites are type of websites where you can purchase goods or services online. You can also find complete information about a business or company. E-commerce websites are built and designed specifically to solve your business needs and make money. They are always dynamic and cover great amount of content as well as different menus, payment system, shopping basket, etc. E-commerce website design and development requires a serious investment as well as an experienced web development team. The primary goal behind personal websites is usually not about money-making. Personal websites contain information about an individual or group hobbies, interests, life, events, and other personal thoughts, photos, etc. Personal websites can be in the form of online diaries and blogs. Writing and sharing personal things is the main idea of personal blogs and websites. Blogs are very popular type of website. Blogs display dated articles on different topics delivered in a chronological way. A blog is usually run by an individual user or a group of users publishing regular entries and random thoughts on different subjects. The blog may include chat rooms and discussion forums. Most popular free blog services today are WordPress and Blogger. Informative websites deliver information in an educational way and teach users various subjects. Educational and information websites are developed and designed in the form encyclopedias, online guides, article catalogs, info brochures, etc. For instance, all-knowing Wikipedia.com and About.com are good examples of educational/informational sites. Social network sites are a type of website rules the modern Web. Via social networks people share things, communicate, make and meet friends and chat online. Today, Facebook is the most popular and most successful social network. Entertainment portals are often large websites containing entertainment news, online games, music, videos, and different type of fun and exciting content. When deciding on the website type, keep in mind that there are other types of websites and your own site can be a unique mixture of different attention-grabbing technical and visual aspects grabbed from different types of websites.